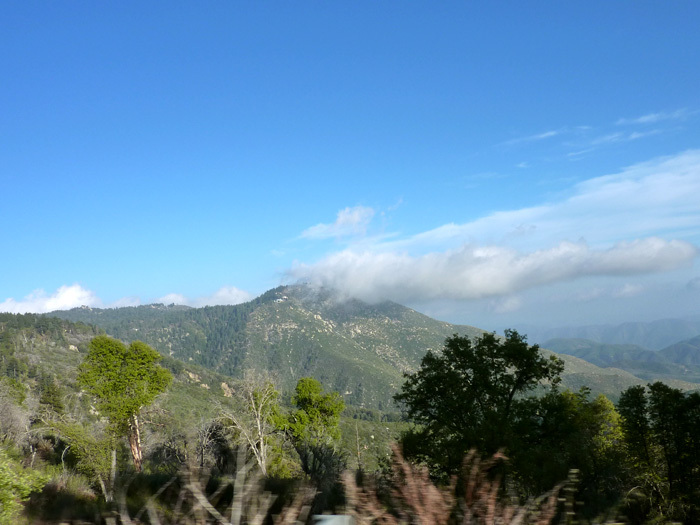 We decided to head towards Lake Arrowhead/Big Bear Lake for another San Bernardino mountain drive, the last time we headed to Crestline (read my blogpost here). 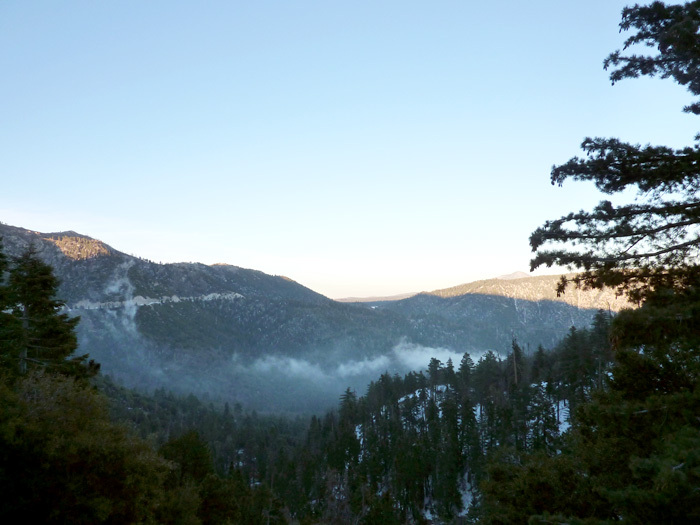 Here is another panorama shot of the mountains. 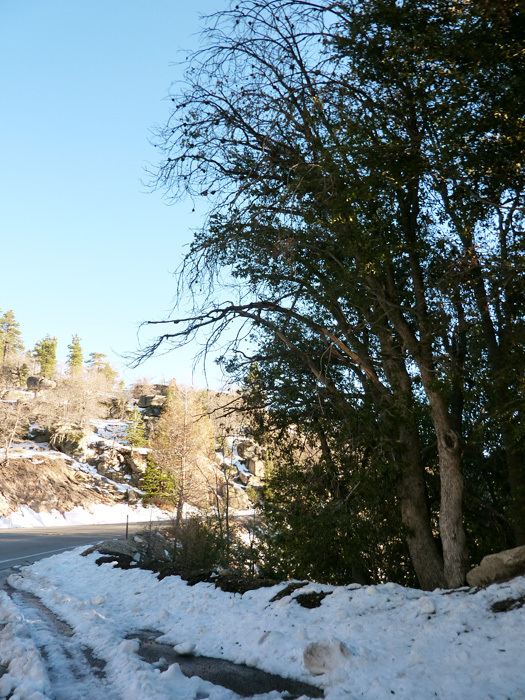 For road directions, take the 330 towards Big Bear. 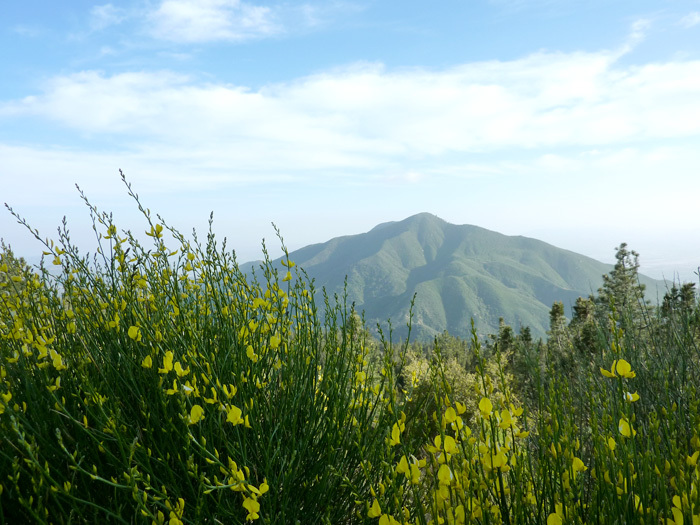 We were dressed in summer clothes because it was pretty hot that day so we went up in the mountains to escape the heat.... in t-shirts and shorts (I was in jeans). 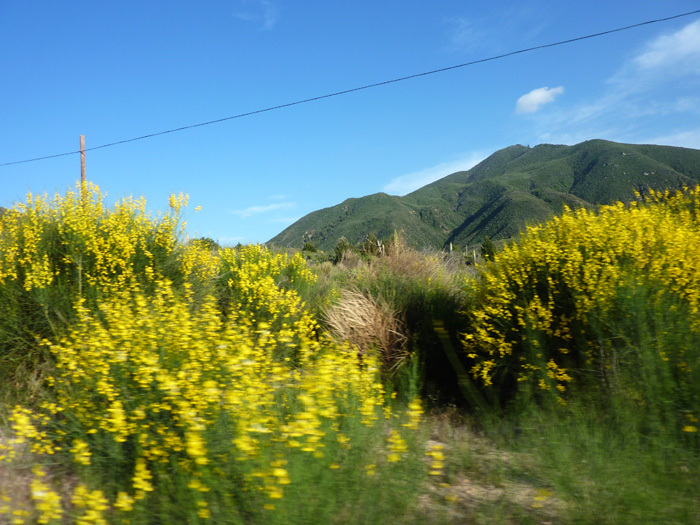 The flowers are blooming in the desert so now's a good time to go, if you want to see the fields of yellow. 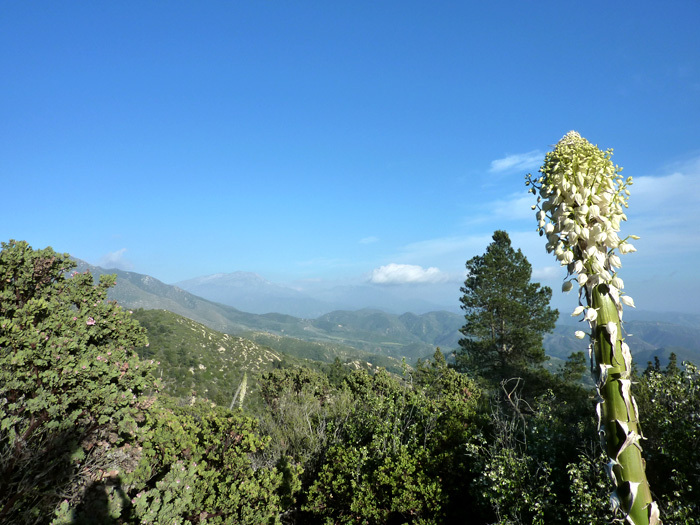 The yucca is also blooming. This spot is at a hidden trail that runs down along the mountain, it is at the side of one of the road stops. You can easily find it when you get on foot. Nice bright clear day. This part is along the side of the road where you can see a clear view of the mountains. 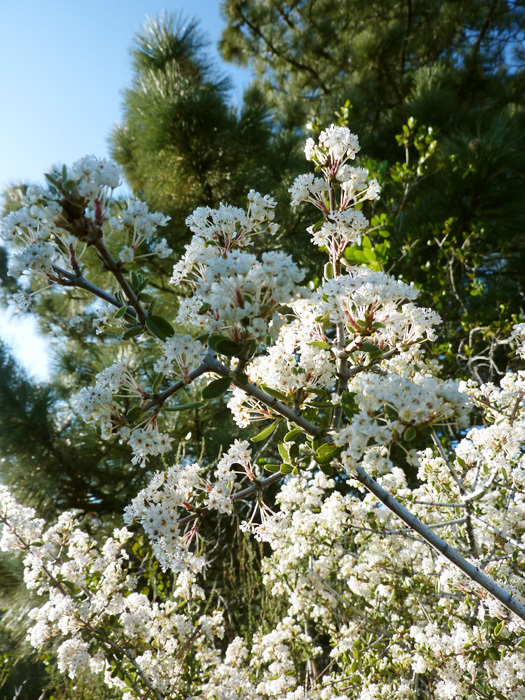 The flowers add a touch of poetry to the scenery. Climbing higher... we can see the clouds over the peaks now but it was getting cold. And then stopping for gas midway. Remember I mentioned we were dressed in summer clothes lol. We ended up a bit higher than planned and definitely did not expect snow since it was so warm down the mountains and from the bottom we couldn't see snow on the peaks. We got off the car for some photos despite the cold. 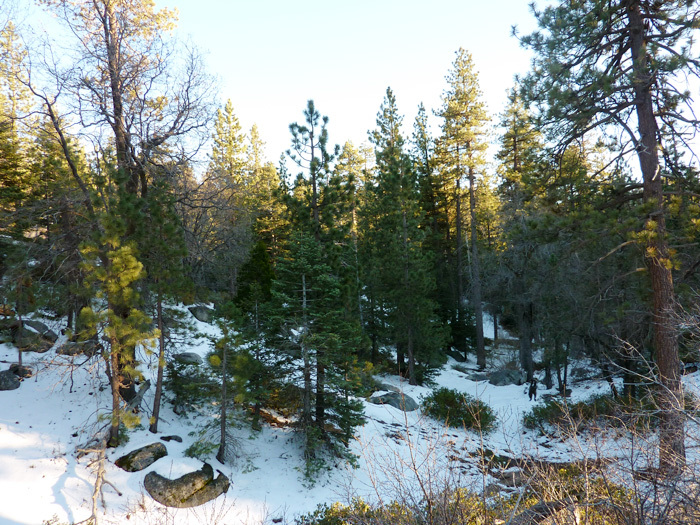 Initially we were heading to Lake Arrowhead but ended up going towards Big Bear, they share similar routes. Above the clouds finally. And soooo cold. A good thing I brought 2 jackets... always. Just in case. The sun was going down so we didn't loiter long. 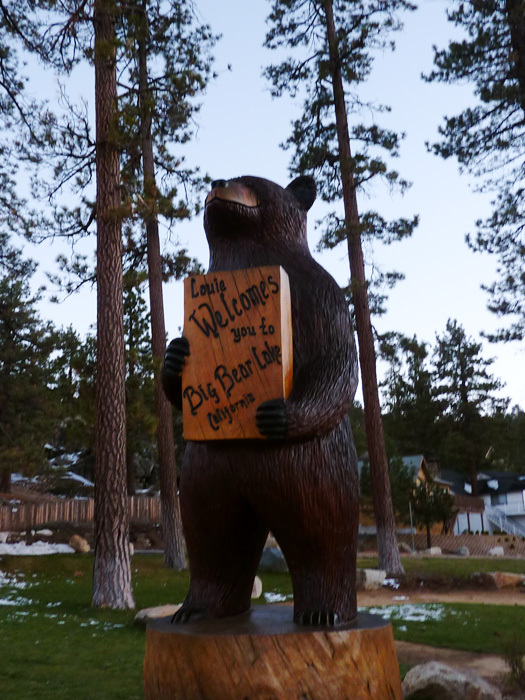 By the time we reached Big Bear it was already semi-dark. This photo is slightly enhanced so we can see Louie bear. 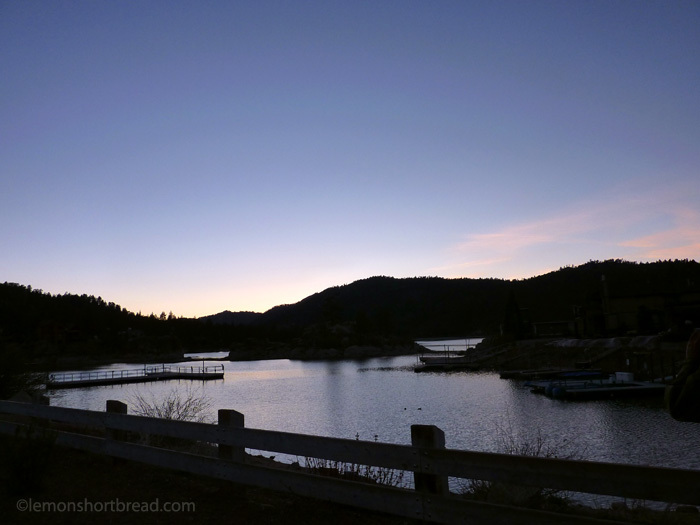 Big Bear Lake at dusk. It was windy and chilly but pretty from whatever light was left.